It started on Thursday. 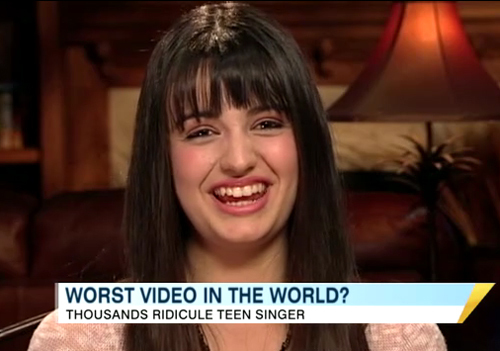 I saw a few mentions of a singer named Rebecca Black and her song, Friday. I had no idea who she was and the mentions didn't spur me to investigate. By Saturday evening, I was seeing her referenced in numerous tweets coming from all sorts of celebrities and friends on Twitter and on more than half a dozen sites. Not one to ignore a burgeoning pop culture phenomenon, I turned to trusty YouTube to see what all the fuss was about. I watched the whole video from beginning to end and couldn't figure out what people were going on about. It's a music video of an unremarkable song featuring autotuned vocals by a 13 year old girl. Well, that's what I thought until I tried to fall asleep. I laid there for an hour with the two second snippet "On Fri-i-d-ay, Fri-i-d-ay," repeating in my head over and over again. The song was officially an earworm, an infectious tune that replays in your head unbidden. It made me wonder, is there a scientific reason Rebecca Black's song was stuck in my head? There isn't much research exploring earworms despite public awareness of the experience. Germans were the first to name the phenomenon ohrwurms (earworm is the literal translation) but the honor of the first documented occurrence goes to Mark Twain. The scant research that is available in peer reviewed journals does provide some hints as to why a song such as Friday would play nonstop in my head. A handful of studies chock earworms up as a sort of "cognitive itch" that needs scratching. Professor Keith Duffy of Penn State, referencing a Dartmouth College study, said that "MRIs show that a catchy song makes the auditory part of the brain 'itch', and the only way the itch can be scratched is by listening to the song." Stuck Song Syndrome, published in a 2010 edition of the British Journal of Psychology states that Daniel Levitin's findings of neural circuits representing the song getting stuck on "playback mode" is consistent with recent MRI data as well. The studies behind Stuck Song Syndrome also found that no one type of song (jingle, theme, children's, pop, etc.) is more likely to cause an earworm. What isn't yet understood is why the brain experiences a cognitive itch. 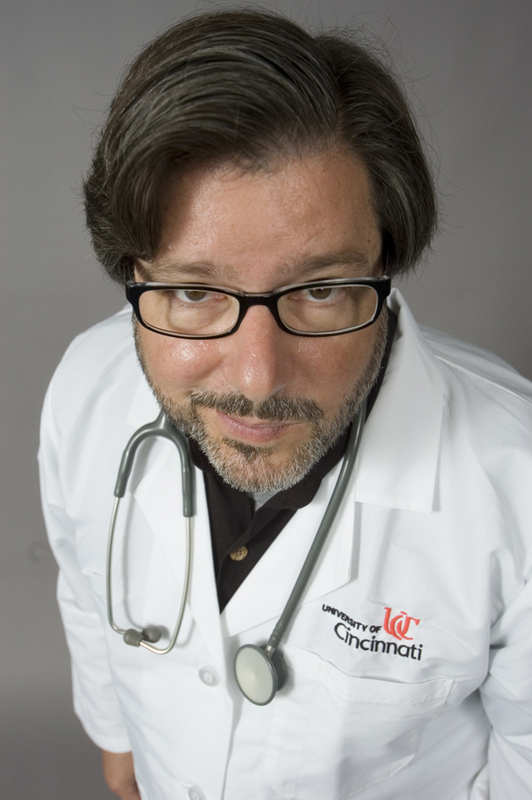 Most of the literature on earworms cites University of Cincinnatti Professor James Kellaris, the school's Chair of Signage and Visual Marketing and his unpublished research on the subject. In fact, Kellaris is the one that coined the term cognitive itch. The professor's studies have found three basic commonalities in songs that cause earworms: repetition, musical simplicity, and incongruity such as when lyrics that are forced to fit the tune or extra syllables are added to a word. While nothing I came across explained why these particular traits are important for creating a catchy song, I would venture it was because the qualities make the piece easy to memorize. Do repetition, musical simplicity, and incongruity sound familiar? Black's song has all three of those qualities in spades. Repetition: not only does Black repeat a number of hooks throughout the song, I lost count trying to keep track of how many times she sings, "Friday." Musical simplicity: the more basic the melody is, the more likely it is to get stuck and, let's face it, this is no Mozart. Incongruity: this, above all else, is what Friday excels at. The lyrics are often awkwardly forced to fit the tune. Additionally, I don't know if it's a byproduct of the autotuning or simply the way she sings the song, but Black adds so many syllables pronouncing the word Friday now sounds strange when I say it with only two after having watched the video five times. Rebecca Black's song Friday is extremely catchy. Now, I just keep my fingers crossed that listening to it so many times while I wrote this post hasn't worn a permanent path in my neural circuits. Research Penn State (2006) What makes a song catchy? Anuta, J.
I have avoided watching this so-called "music video" so far. Armed with this knowledge, I hope to continue avoiding it. Contrasting this song's melody with the music Mozart for the purpose of illustrating the song's simplicity doesn't work. Ask any classical musician, Mozart flogged scales in a way that may sound other-worldly and complex, but the more you know about it, the more obvious and simple it is. A lot of orchestra players despise playing Mozart for this very reason. As a person working live opera production, I can tell you his Don Giovanni is one of the most tedious exercises in melodic repetition ever conceived by a human being. I had managed to avoid this song until - surprise! - it snuck into one of the pop culture podcasts I listen to, and at a moment when I was unable to stop and fast forward the heck out of it. And bam, I was infected. Only the many areas where this song has been discussed/written about, no one's mentioned the "incongruity sound" - which is exactly what makes the song stick in my head AND that I find most annoying. Good research! Now I'm going to have to hunt those studies up at the library sometime!